Today, we are launching the first edition of the Dead by Daylight Developer Update. These articles have the objective of giving our Community a better visibility on our short and mid-term priorities and how each of them is progressing. We are looking at releasing an update like this on a regular basis. This first edition will give you insights on some hot topics including the infinite loading screen issue and the new matchmaking algorithm. We also want to provide an update on our progress for: Dedicated Servers, Legion Update, the new End Game Collapse and the Freddy rework. This bug prevents players from loading into a game. This occurs when one of the players in the match experiences a game hang. The player’s only choice is to force close the game. The Infinite Loading Screen is a complex case that requires a lot of investigation from our engineers. We already identified part of the issue and pushed some fixes to the live game; however, some cases remain. To better identify the cause behind the remaining cases, we will add more debug information in the mid-chapter update. Although we don’t have an ETA yet, fixing the infinite loading bug is a top priority for us. Games starting with less than 5 players are currently a common occurrence. This is caused by unexpected situations that prevent players from loading in the game (crashes, player disconnections, Infinite Loading screen). Starting with the next mid-chapter update, if this situation is detected, players will be returned to the tally screen (keeping their items, addons and offerings) and will be notified that the game has been cancelled. We will continue to monitor the cases where games might start with less than 5 players and keep on improving the process. A lot of you are aware that we have been periodically testing a new matchmaking algorithm for the last couple of months. Following multiple tests, our data showed that the ping time was generally improved but, to the detriment of longer wait times and a larger rank disparity. We have thus decided to revert to the previous system. For an asymmetrical game, there is no out of the box solutions when it comes to matchmaking so we went back to the drawing board and started to rework the system based on our findings. In the last couple of weeks, we’ve been completely reimplementing the algorithm. As of this week, we have started doing short tests to see how it performs on the live environment. We will keep you updated on the results soon. As part of the 2.6.0 update, we made some changes to the emblem system to have a player's rank more accurately reflect their skill level. The players feedback was divided on this adjustment to the Emblem system. We launched a hotfix patch (see notes) this week and we will continue to monitor the Community feedback on Emblems, Ranking & Pips. 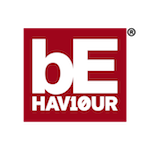 Back in December 2018, we announced that we will be bringing Dedicated Servers to Dead By Daylight by Summer 2019. We are currently testing the Dedicated Servers internally! Migrating to Dedicated Servers is a process that will roll out over time, first on the PTB, and then, to a segmented percentage of the population on the live environment. This gradual roll out will allow our team to gather data and feedback to ensure the smoothest transition. The first public tests should happen in the next few weeks. The upcoming mid-chapter patch will include an update to The Legion. This is something the community has been requesting since its release back in December 2018. Stay tuned as we will reveal these changes in a blogpost next week. The upcoming mid-chapter will feature a major update to the end game. The objective of these changes is to make the end game more dynamic and exciting. We will reveal the new End Game Collapse in a video next week. When we rework a killer, we aim to improve mechanics and powers by changing and adjusting existing concepts. For Freddy, we wanted to change the gameplay while staying true to the license: we realized quickly this is not something we could possibly do easily with our normal rework methods. The Freddy update then became a full gameplay overhaul. The rework is something more complex than we ever did for any killer before. We wanted Freddy changed, but we wanted to do it right and it would take more time than we anticipated. Based on this knowledge, we decided to focus on global game mechanics or problems that affect a larger part of the Community (such as End Game Collapse & Infinite Loading). That being said, we have made a lot of progress with the Freddy Rework in the last couple of months and we will be able to give more details next month. We hope that this first edition of our Developer Update is clarifying a few of the players concerns. We know that the level of communication from our team in the last few months was not reaching the Community’s expectations. Rest assured that we heard the feedback and we will continue to work hard to improve our communication channels. 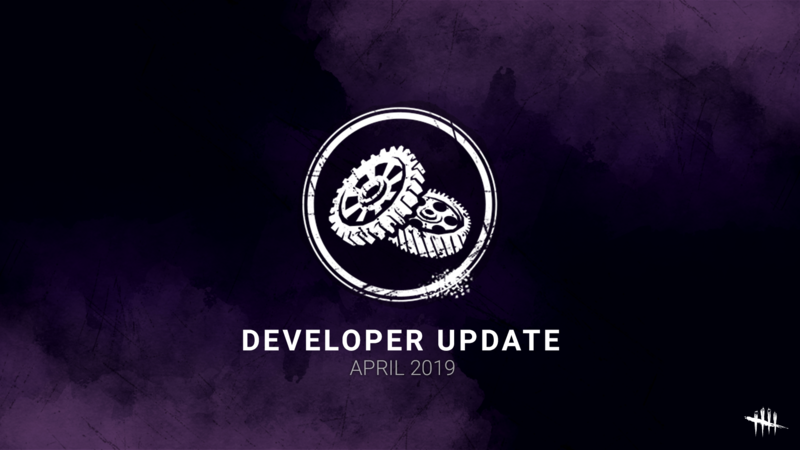 With this Developer Update, we are hoping to reopen the dialog between our team and the Community, and we aim to show transparency on our focus and progress. We will share more on some of these topics as soon as next week. Stay tuned!